After my first year in the library, I noticed that the students naturally gravitated toward working on the floor, reading under tables and in little nooks and crannies, and using the built-in steps to work with a group, as opposed to using the provided tables and chairs. In the summer prior to my second year as teacher librarian, I decided that I wanted to make the library a more comfortable learning environment that catered to students’ natural tendencies to be more productive and happier when they were in various nontraditional positions and workspaces. I began by revamping the three “comfy” office chairs we already had in the library that the students would race to (and sometimes fight over) at the beginning of class — they were the coveted spots! I re-covered some of the worn-out cushions. I also purchased three beanbag chairs and a classroom carpet to help create a comfy zone and a more comfortable area for the students to work. I also was able to gather a couple of sturdy side tables that could be used as seating and a couple of small plastic chairs that would work for the younger students to create another reading area. I had a metal stool already in the library, and when other teachers saw that I painted it, I was also able to get another matching one from a colleague’s classroom to have a matching set. I purchased some clipboards for students to promote them moving about to find a productive work location. When my students entered the library for the first time, they couldn’t wait to use the more comfortable seating choices. I implemented the changes slowly and was very explicit with the expectations for how to use the new seating choices. The three beanbags became the coveted spots, so I often chose students who were demonstrating model behavior to use the beanbags for the period and tried to give all the students a turn. Once I implemented flexible seating in my library, I also had to realize that it’s a complete mindset change on my part. The student working under the table was fine as long as he or she was working. The student who looked uncomfortable was fine. So, I think the most positive outcome overall is the impression and attitude toward the library. While it hasn’t changed for every student, I feel like the majority of students feel that the library is the heart of the school. They come to see me at recess to be a helper or to read or to do homework. They know it is a comfortable and safe space. 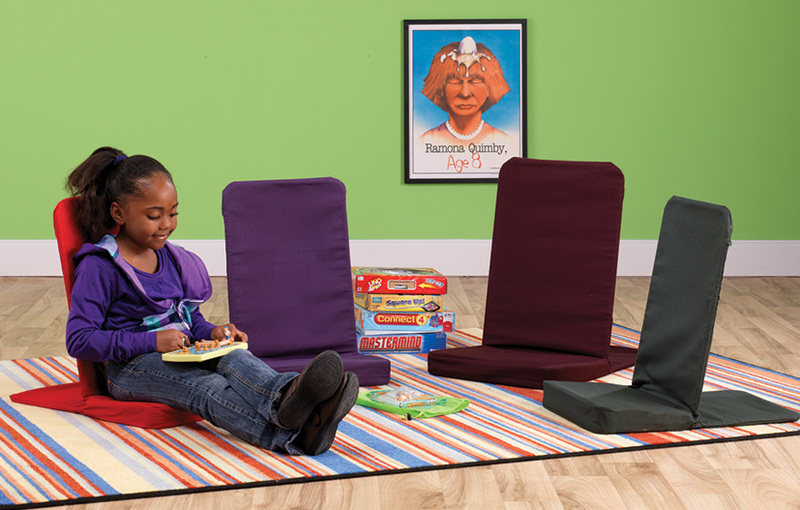 Flexible seating has helped make it warm and inviting. My students are ultimately more productive and more predisposed to learning if they are happy and comfortable. After attending a workshop on innovative classroom design in 2016, I decided to take the plunge into flexible seating. 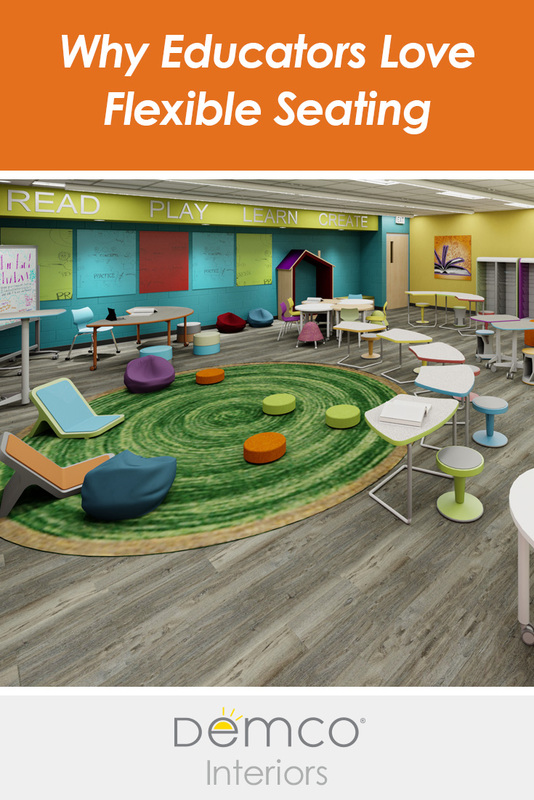 I had seen beautifully designed rooms all over Pinterest and Instagram for years but never fully understood the “why” behind flexible seating. At this workshop I got to work alongside an interior designer who specializes in classroom design to promote engagement and collaboration. I was afforded the opportunity to travel to three area schools and speak with educators who transformed their classrooms. After hearing their success stories, I knew I was ready to give it a try! My students LOVED the change. They were already finding innovative ways to utilize our space (sitting on the floor with pillows or lap desks, standing at tables, working on wobble stools, etc. ), so they were thrilled to have the green light to use furniture other than the traditional school furniture they were used to. Throughout the year I allow students to help rearrange the room to fit their needs as learners. I can tell my students take great pride in our classroom and especially love showing it off to visitors. My students are more engaged in their learning! Students have explicitly stated that having a comfortable place in the room to work helps them focus while working. 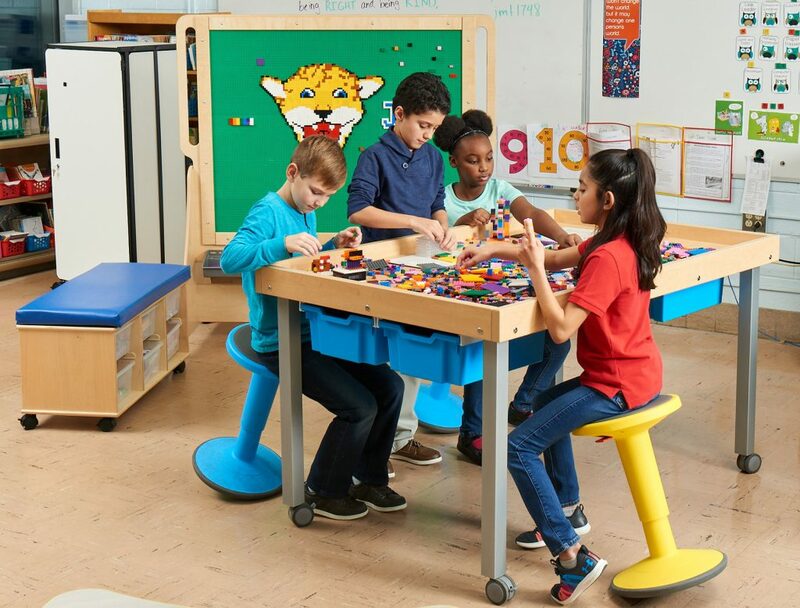 Not only that, I have noticed that my students are developing valuable problem-solving and social skills while choosing workspaces in our classroom since we do not have any assigned seats. As the teacher, I try my hardest not to intervene when two students are heading to the same spot. I encourage students to use their strategies to problem-solve on their own. Need Product Recommendations and Design Help? 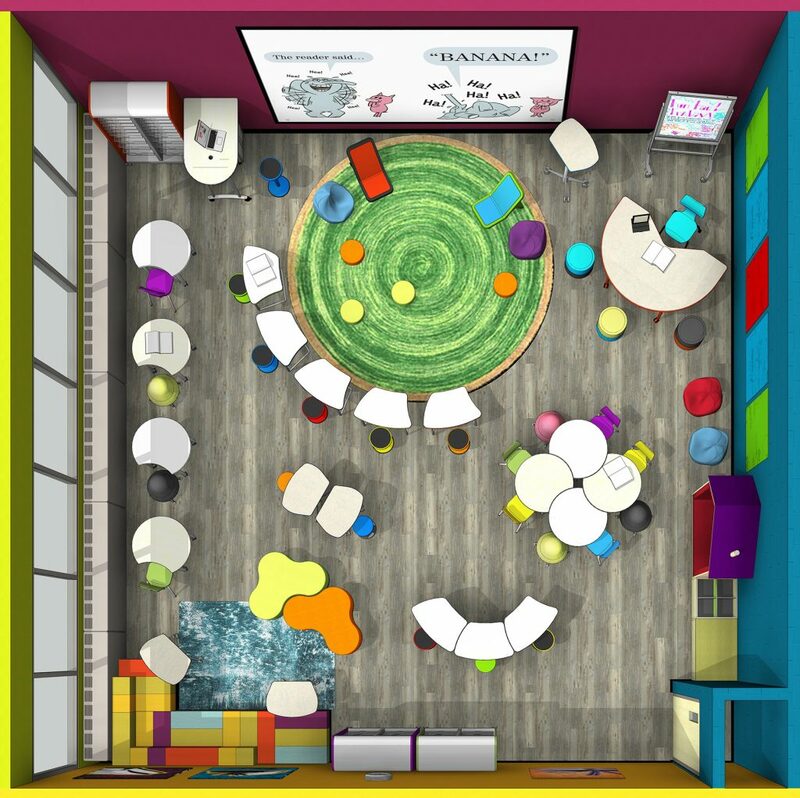 Reinventing your library or classroom can feel a bit overwhelming. 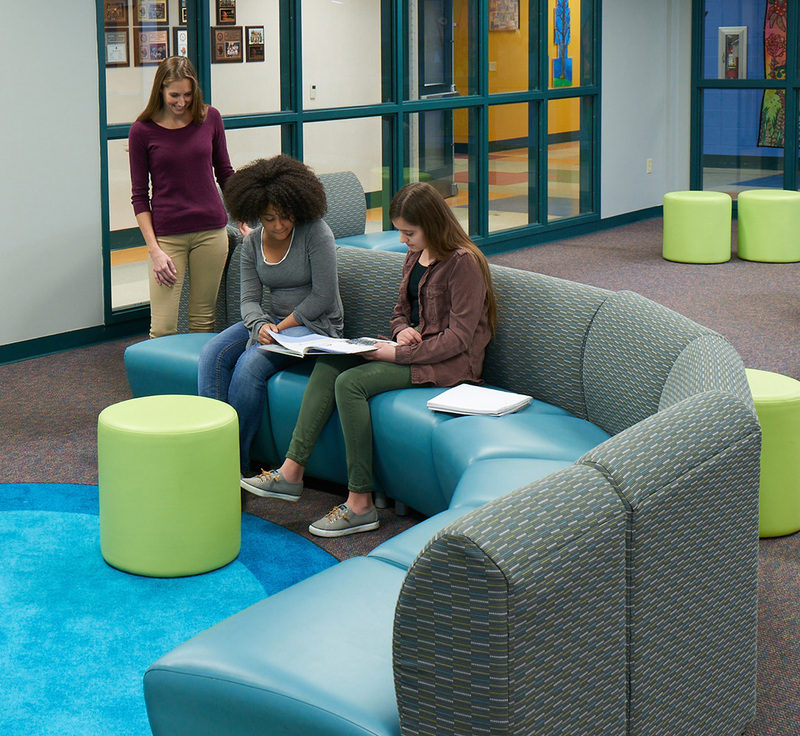 Contact a Demco interior solutions expert to explore solutions that work best for your students and your learning environment. I had been thinking about trying it for several years, but I couldn’t figure out the logistics and was too scared to try it without working out every possible detail. Then I found myself with a class full of especially fidgety students, and I couldn’t stop thinking about how hard it is for me to work in an uncomfortable seat. I often do my best planning curled up on the couch or spread out on the floor. As an adult, I almost always get to choose where I work. Why shouldn’t my students be offered that same choice? Students were thrilled from the very first day. Their parents were apprehensive at first sight, but the kids’ excitement often spilled over on the ride home from school, so their parents were sold quickly too. Small behavior problems ended almost immediately, and the amount of stamina my students had for challenging work increased rapidly. The logistics were so much easier than I had anticipated, and I only regret that I waited so long! At the time, I was working in a high-poverty neighborhood in which the children could benefit from more of a home-type atmosphere where they felt safe to learn and share. From that point, it worked so well that I’ve continued it for the past nine years of teaching. The students were excited and thrilled that I took time to consider their needs. They quickly took to the space and wanted other teachers to do the same. It worked especially well for students that needed to move a lot. They didn’t feel so confined by being in the same seat day after day. One of the rules with my flexible seating is to pick a different seat every day. Overall the most positive outcome would be the conversations it has promoted. Students feel free to share with their peers and are exposed to different peers on a daily basis. I decided to implement flexible seating after researching the positive impact it can have on young students’ learning and focus. My students love flexible seating. We learn how to use each type of seat appropriately, and students can pick the type of seat that works best for them each day. The most positive outcome I saw from implementing flexible seating in my classroom was the amount of focus students could maintain. Students are able to make smart choices about what style of seating works best for them and where they learn best in the room. This empowers kids to think about how they learn best. I decided to implement flexible seating because I believed each child needed to be comfortable while completing their work to truly give their best. As I read blog post after blog post, I became intrigued and decided to play around with it. I started by allowing my first-graders to use a clipboard and sit or lie on the carpet area to complete assignments if they wished. Then I had a student that could not stay seated for more than a minute. I allowed that student to stand at a cart to complete assignments. The change was amazing. I couldn’t believe how much the student’s performance improved. I started thinking about my own children. Before I became a public school teacher, I home-schooled my own children from elementary to part of their middle school and high school years. My children never sat at a desk all day to do their work. At the time, I was taking classes for my master’s degree as well, and I thought about how I liked curling up on the couch to work and read. All these observations combined compelled me to give flexible seating a chance. I was a nervous wreck implementing full flexible seating this year. This meant my first-grade students would come in on the first day without assigned seats. It went better than I could have ever expected! The students love the choices. They came in the first day and just found a seat. I took the time to teach, model, and practice procedures for each type of seat, and I haven’t had any trouble. It’s interesting how most of them pick a different seat each time we leave whole group to find a spot to work. Have I had to move students away from one another? Absolutely! But I had to do the same every year with assigned seating. I was also nervous how the parents would react at Meet the Teacher night. I took the time to explain why I had chosen this type of seating and how it would benefit their child, and I have had nothing but positive feedback. My parents love the idea! The most positive outcome has been the way students get right to work and focus when they find a seat. I believe the amount of movement the students get from choosing “right” work spots and the ownership that comes from choosing their own space causes them to concentrate more fully on assignments.